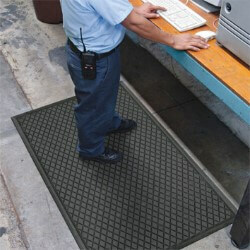 Static dissipative are designed to drain the Electro Static charge from items placed on the mat. Mat should be grounded to be most effective. 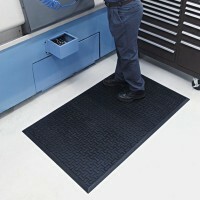 Dissipative mats are rated middle range of ESD matting and have a surface resistance of more than 1 x 10 5 ohms/square but less than 1 x10 11 ohms/square. 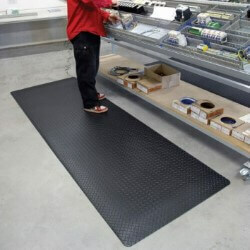 Must of static dissipative mats have anti-fatigue properties to provide workers comfort and safety. 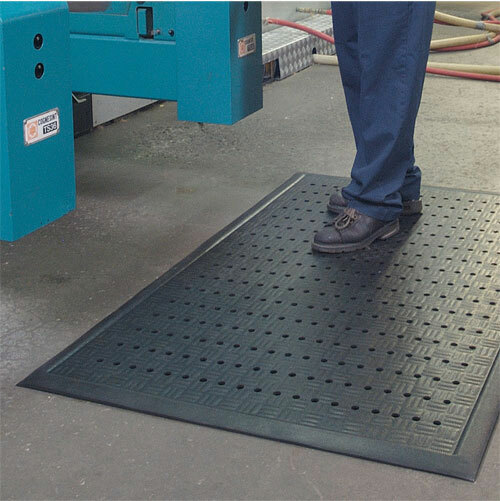 The 9/16" Diamond Stat™ is a conductive/anti-static mat designed to absorb static electricity by draining static electricity from the worker keeping sensitive circuitry from being damaged. 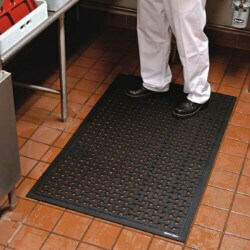 Available in two thicknesses: 5/8" and 7/8", the Hog Heaven™ Confetti Mat is durable with an environmentally friendly all rubber textured surface that is attractive and slip resistant. Texture top available in different colors. 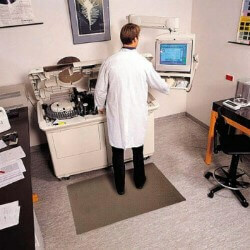 The Traction Hog II mats Diamond Patterned Grit Top provides a slip resistant surface in wet and oily environments. 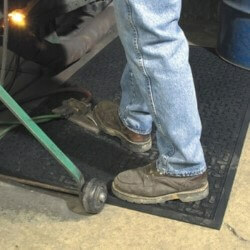 Available with or without holes, this 1/4" mat is grease and oil proof, chemical resistant and welding safe. 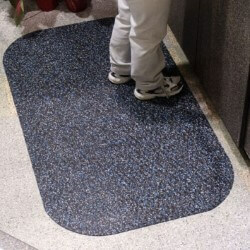 Anti-microbial treated.